This is the card I designed for the 2017 holiday season. 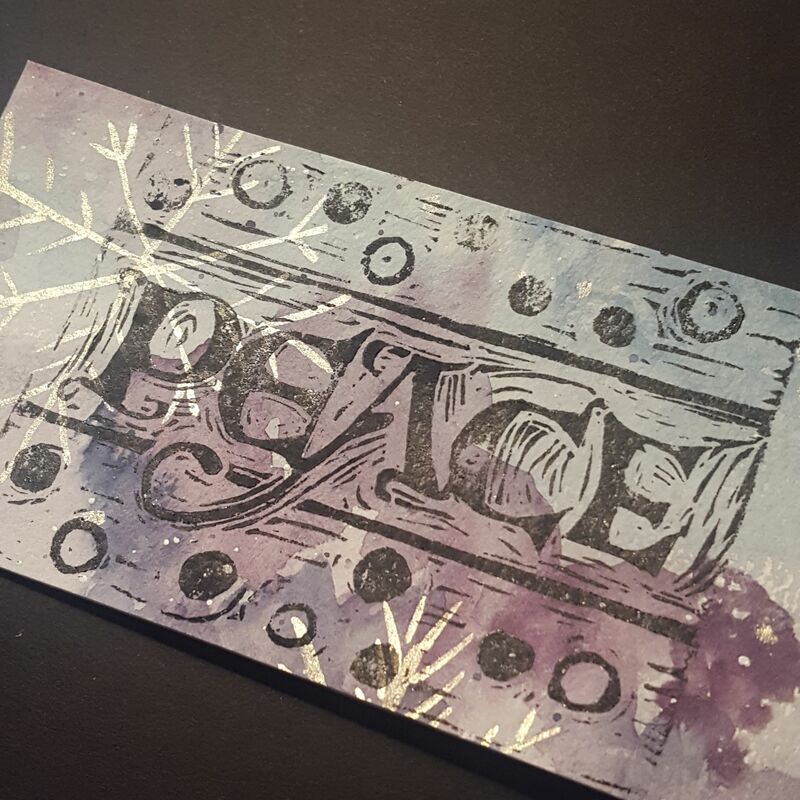 I handlettered and cut the word “Peace” into a linoleum block. This hand, or style of writing, is called versal. The lines for the letters are drawn individually, rather than being produced with a nib or a brush. The background is a purple and blue watercolor wash, accented with snowflakes and dots painted with silver Finetec watercolor. I printed the image onto the wash using black oil-based block printing ink by Speedball.